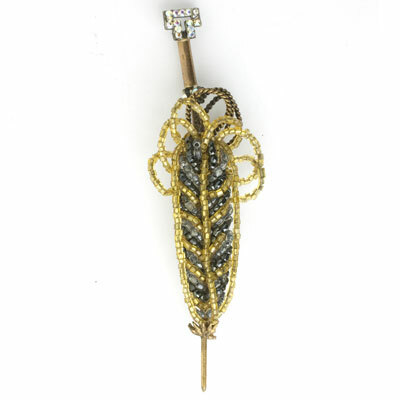 This umbrella brooch is made from gold, black, and colorless seed beads along with gold-tone rope and a diamanté-studded handle. The solid back supports the hand-beading and the trombone clasp. 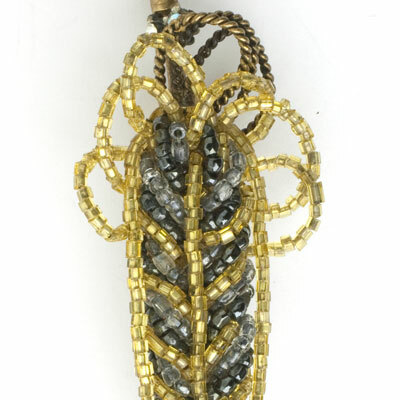 Tall and slender, this whimsical jewel was probably made in the 1950s. Pieces by Ornella, an Italian company, are well-made, hard-to-date, and hard-to-find.